The OG OLED device is my jam. The best product Apple announced at its iPhone event isn't the iPhone 8. It isn't even the iPhone X. It's the Apple Watch. The iPhone X's OLED screen and facial recognition might be getting all the attention, but it's $999 to start. And many of its best features--the A11 Bionic chip, wireless charging, and Portrait Lighting--can be found for a whole lot less on the iPhone 8. And the jury's still out on Face ID. But the Apple Watch Series 3 with cellular is worth every penny of its $399 price tag. 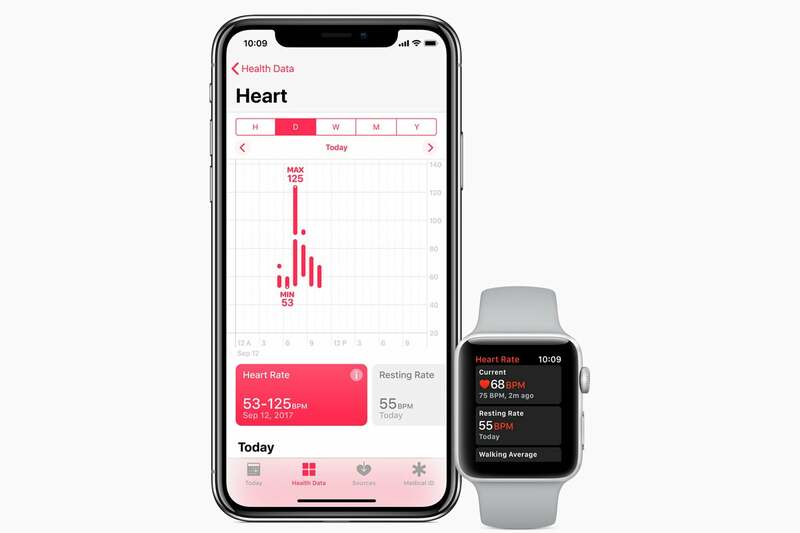 In just three years, Apple has transformed Apple Watch from an underpowered, subordinate device into a fully independent one with industry-leading health sensors and an iconic design. Kind of like the iPhone. Apple Watch Series 3 is a pretty major leap from Series 2. There are new S3 and W2 chips that bring incredible power and connectivity boosts, a new barometric altimeter for altitude tracking, and the big change: LTE. That means you can still make calls, send messages, get directions, and talk to Siri even if your phone isn't around. 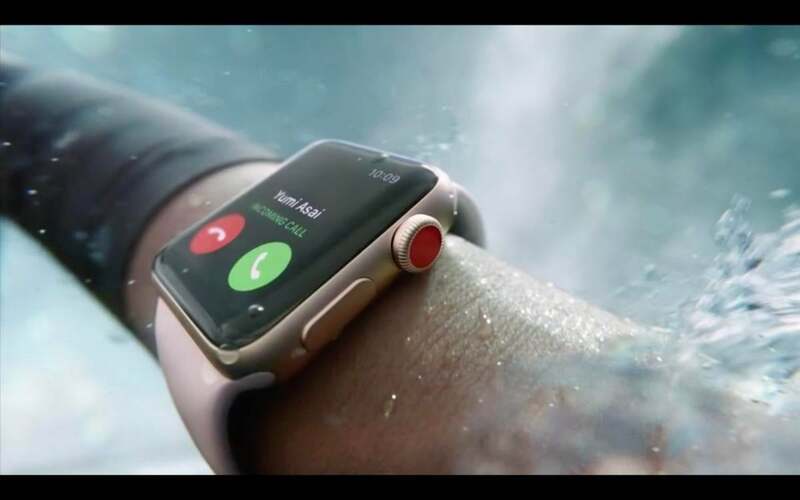 Even if you don't answer calls while surfing, Apple Watch Series 3 with cellular is a game-changer. Of course, you'll still need an iPhone 6 or newer to get it up and running, but once it's set up, Apple Watch Series 3 with cellular will give you complete independence from your phone. In its first TV ad, Apple shows a surfer getting a call in mid wave, with his phone presumably still on the shore. Granted this is a pretty extreme case (and one where you probably wouldn't want to get a call), but still, it's pretty cool. Cellular connectivity in a smartwatch is old hat for Android Wear users. It's a classic Apple move, taking an existing feature and making it feel like something completely new. But while Android Wear and Samsung watches have had cellular connections for years, I've had my share of struggles with them, whether through sporadic service drops, spotty syncing, and just plain connectivity failures. If Apple Watch Series 3 is as reliable as the iPhone when it comes to its cellular connection, it will be a real game-changer, certainly more so than animated emoji. Apple Watch has always been lauded for its minimal, elegant design, but Series 3 is a true breakthrough. It doesn't have a head-turning new design like the iPhone X, but that's precisely what's so revolutionary about it. Evem with a cellular chip, Apple Watch Series 3 is just as small as Series 2. I've used numerous cellular-connected watches over the years, and they all have one thing in common: they're huge. It was my main concern when I first heard the rumor about an LTE Apple Watch: How much bigger would the case be? The answer is not at all. Apple has managed to add a cellular chip and keep battery life at 18 hours (4 hours of LTE connection and 14 hours of connection to iPhone via Bluetooth) without needing to add any bulk to the case. And that goes for both the 38mm and 42mm models, thanks to an electronic SIM and "an industry-first antenna design that uses the display itself as both a transmitting and receiving element." The 38mm Apple Watch is the real gem. An Android Wear or Gear watch of that size with LTE is simply unheard of. Most of them dwarf the 42mm Apple Watch and look ridiculous on small wrists. The LG Watch Style, for example, is a relatively svelte 45mm circle, but doesn't have NFC, GPS, LTE, or a heart-rate monitor. And its battery life is terrible. That Apple has crammed all of the into a 38mm device that still claims 18 hours of battery life is an engineering feat far greater than the iPhone X's edge-to-edge glass. The rest of Apple Watch's internals have been beefed up too. The new dual-core S3 processor brings a 70 percent boost in performance, which should mean that apps now load as quickly on our watches as they do on our phones. And the W2 Bluetooth chip with 85 percent faster Wi-Fi and 50 percent power efficiency, which will help keep the battery lasting as long as Apple says it will. More than ever, Apple Watch is like a tiny iPhone strapped top our wrists. Apple Watch Series 3 monitors your heart rate better than before. 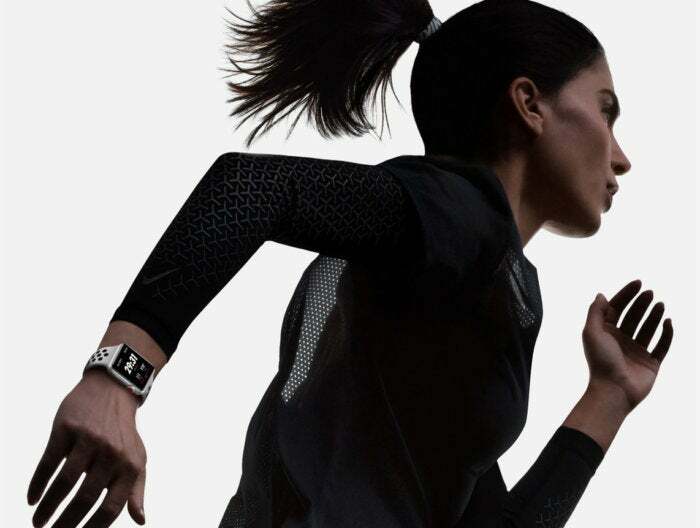 Fitness has always been a big deal on Apple Watch, but the freedom of LTE opens it up to a much wider variety of uses: Baseball games, marathons, tennis, the aforementioned surfing. No matter what you're doing, Apple Watch will keep you from running to check your phone to see if you missed an important call. And you can also track your resting and recovery heart rates, and receive notifications if the sensor notices an elevated reading when you're not being active. And soon it'll even be able to detect arrhythmia. Fitbit's Ionic watch hasn't even hit shelves yet, but Apple Watch Series 3 could make it obsolete before it even arrives. watchOS 4 is mostly on par with Fitbit's fitness tracking and on-watch coaching, and it even bests it when it comes to music. Fitbit lets you download Pandora songs for offline listening, which is cool, but with an LTE Apple Watch, you'll have 40 million songs on your wrist, and you'll only need to ask Siri to play any one of them. If I could only buy one product announced this week, it would be an Apple Watch Series 3 with cellular. The iPhone X is nice and all, but it's hard to see how it's that much of an upgrade over the Galaxy S8's Infinity Display. 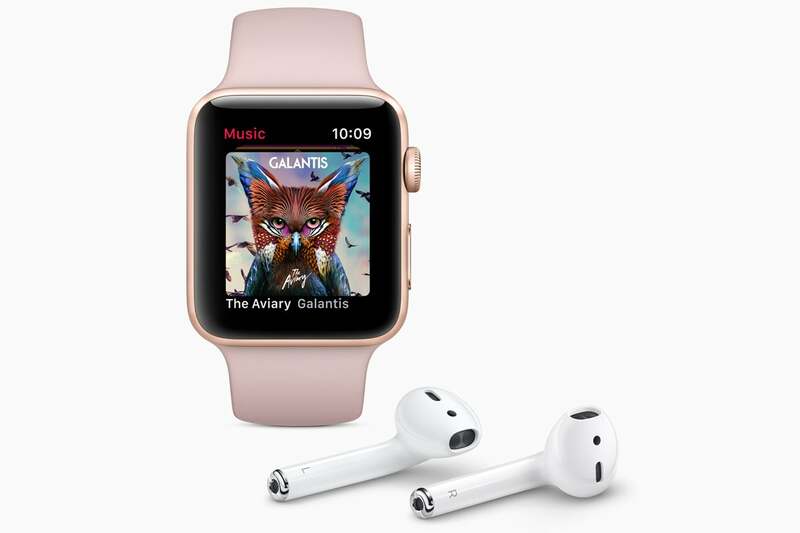 Apple Watch Series 3 puts 40 million songs on your wrist. The the Series 3 Apple Watch is a massive improvement over any wearable on the market right now. Assuming it lives up to Apple's claims for battery life and connectivity, it will be nothing less than a watershed moment for wearables, the device that people point to as the one that changed the landscape. Not to mention, it already has an OLED screen. And you can get two for the price of one iPhone X.